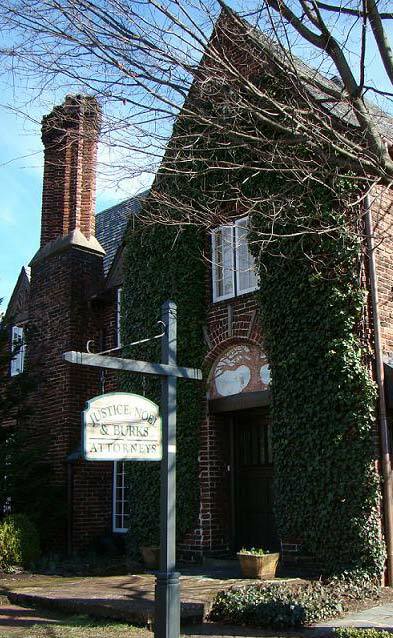 At Justice, Noel & Burks – An Association of Attorneys and Counselors at Law, our attorneys function as a team in which every member plays a valued role. They have a variety of talents, backgrounds and skills that enable them to confidently handle cases that straddle multiple areas of the law. Two of our Attorneys, James W. Justice and Charles C. Burks, Jr., have been recognized for their professionalism and ethics, earning AV® Preeminent™ Peer Review Rating by Martindale-Hubbell®, the highest recognition possible in the legal industry. Our Attorneys, David D. Noel has been rated by his peers as BV® Distinguished Peer Review Rated by Martindale-Hubbell® for his professionalism and ethics; while Patrick G. Noel has been recognized with an overall peer review rating of 4.0 out of 5.0. From civil litigation, criminal law, and family law, our lawyers supply every case with the knowledge and skill gleaned from their 125 years of combined experience. Every individual deserves to have the assistance and support of a knowledgeable attorney when facing the Tennessee legal system. Our attention to detail, thorough investigation, preparation and willingness to take cases to trial help us achieve the best possible results for our clients with respect to their circumstances. We strive to resolve matters outside of court through alternative dispute resolution (ADR) techniques such as mediation and arbitration, but our attorneys are also skilled litigators prepared to handle any contested matter. Contact a Knoxville, Tennessee law firm today. Call Justice, Noel & Burks at 865-522-4964 or contact us online to schedule an appointment.